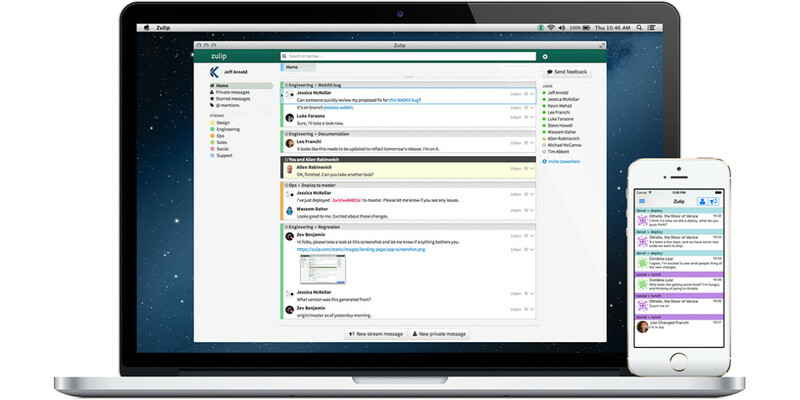 Dropbox has released its recently acquired chat app, Zulip under an open-source Apache license. According to a blog post by Zulip co-founder Tim Abbott announcing the move, Dropbox has released everything, including the server, Android and iOS mobile apps, desktop apps for Mac, Linux and Windows, and the Puppet configuration necessary for running the Zulip server in production. The world of open source chat has for a long been dominated by IRC and XMPP, both of which are very old and haven’t advanced materially in the last decade. In comparison, Zulip starts with many useful features and integrations expected by software development teams today and has a well-engineered, maintainable codebase for those that are missing. We’re very excited to see what people build on top of Zulip. The threaded chat app’s client and server code is now available on GitHub, and you can download clients for Mac, Windows, iOS, and Android on Zulip’s site. The Zulip site also contains various hints on how to get started with building integrations and other enhancements for the app. Dropbox has released the zxcvbn password strength estimator, the Djinni cross-language bridging library, the Hackpad codebase, and the Pyston JIT for Python as open source, as well.